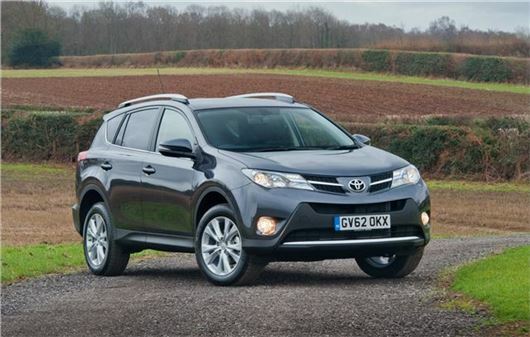 www.drivethedeal.com has some excellent deals on brand new Toyotas, all supplied by UK main dealers. Prices include road tax and delivery to your door is free. With savings of around £1,000 off the new model Aygo and savings of around £5,000 off a new Rav4, these deals are not to be missed. **Toyota is offering PCP finance at 4.9% APR Representative over 24 to 36 months (42 months on Aygo X-Play & Yaris Icon grades) with a deposit of between 0% - 35% of the cost of the car. The dealer that we put you in touch with will arrange the finance if required. Subject to Status. Written quote available on request. # One year’s free comprehensive insurance offer is available via Toyota Financial Services on a Personal Contract Purchase (PCP) only and is available on Model Year 15 New AYGO models (excluding X grade) when ordered and financed between 1st July 2014 and 30th September 2014. Vehicles must be registered by 31st December 2014. All drivers must be aged 21 years and over.